Home gyms are a great piece of fitness equipment. 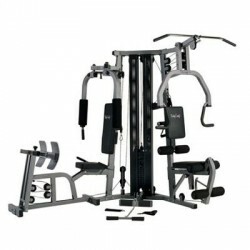 They come in a range of sizes, to suit any home and they save you a fortune when compared to a gym membership – and if you hire then buy fitness equipment from us, you even get to keep the equipment. Whether you’re looking to lose weight or simply stay active and fit, a home gym can go a long way in ensuring you reach your fitness goals. It is important to consider the space you have. Home gyms come in a lot of different shapes and sizes, so it’s important to consider what will actually fit and be functional in the space that you have available. Try out a whole heap of gyms to find the best one for you. It’s always a good idea to try out a home gym (or ten) before deciding whether it’s right for you. Come in to our Hobart store and try operating a few to get a feel of what you’re after. You won’t know if you like something until you try it out. We really recommending hiring the equipment before you purchase it. This has the benefit of letting you really see how you like something before you make the commitment of purchasing it. Avoid buyers remorse! Hiring minimises the risk –at minimal cost. If you decide to purchase the equipment you are hiring, the entire hiring cost (less GST) is deducted from the purchase price. Plus – you don’t just keep the equipment you’ve been hiring, we’ll give you brand new equipment!